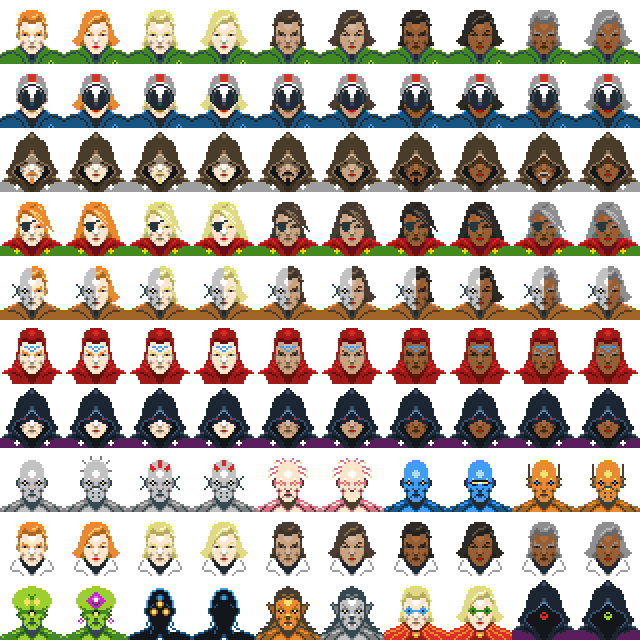 A huge collection of tiny sci-fi sprites! Space marines, aliens, starbases and derelict ships! Inspired by classic console and computer RPG games of the past. Everything you need to make a complete game with free lifetime updates! Star bases, alien ships, desolate moons! Animated FX, skill icons, equipment, fully modular UI system, and more!